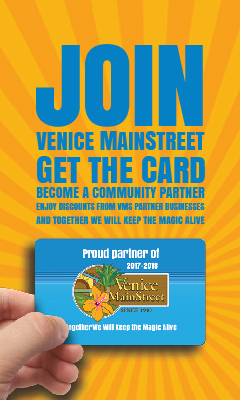 Secretary of State Ken Detzner announced today the Venice MainStreet program has been designated the July 2017 Florida Main Street Community of the Month. Communities are selected based on their developmental achievements and participation in the Florida Main Street Program. Venice MainStreet, which started in 1988, has resulted in the development of nearly 1,000 jobs, 300 businesses and 31,000 hours of volunteer support. Remodeling and rehabilitation of the historic downtown buildings resulted in $133.7 million of investment and construction of new compatible structures led to $76.7 million in investment.